TUG Inflatable boat cover for TUG 13. 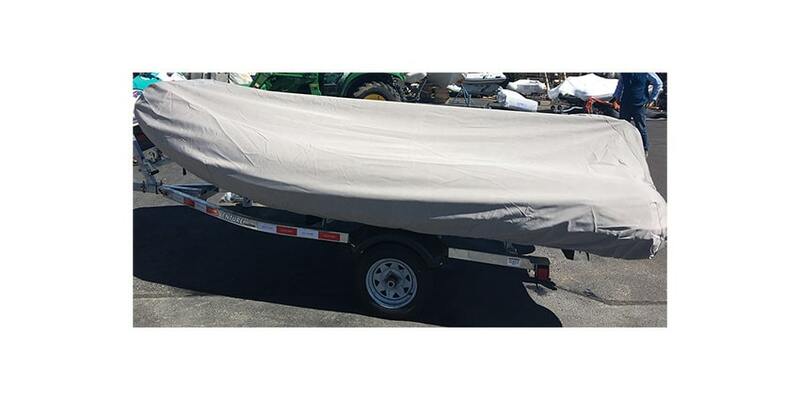 Our Sea Sprae® boat cover is constructed from a durable acrylic coated polyester. This fabric weighs 7.25 oz per square yard and is stabilized for minimum stretch and shrinkage while offering excellent tensile and tear strength. Sea Sprae® is water and dirt repellent as well as resistant to mildew and UV rays. Available in Gray. Does not cover the engine. Bixler's Inflatable Foot Pump measures up to 5.8 psi and has a 5 liter air/fill capacity per stroke. The pump adapter will fit most Walker Bay, TUG, and Mercury Inflatables. It will fit the following valves: Halkey Roberts and Bravo. TUG Inflatables white bow cushion is designed specifically to fit all TUG Inflatables boats. This allows the forward locker to be used as a comfortable seat. Screw-in snap installation required.